Most experienced skiers realise very quickly that whilst the big-name resorts of the Alps offer many choices of bars, restaurants and shops, staying at them comes at a price. That’s not just a premium on the actual cost of your holiday, but for many an equally, if not bigger factor is the hassle factor cost. 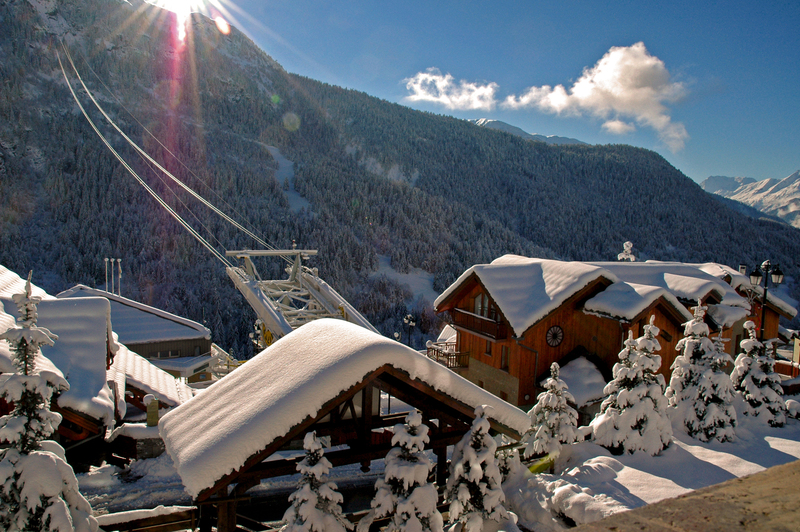 Essentially the bigger the resort, the more likely your accommodation will be further from the lifts and runs, the best restaurants will be booked and the queue to get on the slopes in the morning all too much like the workday rush hour back home. So much for the relaxing winter holiday. The answer, for many, is to pay less to stay in a small village that’s linked to one of the world’s great ski areas. So… all the skiing perks at a lower cost but none of the negatives of overcrowding. Whilst tens of thousands battle to get on the slopes around that famous name resort, you’re already on the slopes ahead of most of them and are probably on first name terms with the lifty, as well as the local barman and restaurant staff by day two of your holiday. And yes… it does actually feel like that elusive relaxing winter holiday. Is there a downside? Well for those who would rather have all the benefits of small ski resort life rather than the big-choice-but-big-crowds and higher prices of a bigger resort probably not, no. The extra good news is that you don’t have to sacrifice all those après ski activities by staying in a smaller resort these days either. Many small resorts are over-endowed with attractions as local governments try to encourage people to visit them, rather than add to the over-crowding of the big resorts. Plus, the activity providers at those big resorts, wishing to expand their own operations, often happily provide their services to visitors based in the neighbouring area anyway. A bit of forward thinking by lift companies, installing gondolas and cable car lifts on key routes, even means non-skiers in your group can often join you for lunch and activities based nearby. Vaujany in the French Alps, a beautiful village, part of the vast Alpe d‘Huez ski area, is a very good example of this. The family business of Ski Peak have been operating there since 1988 and offer wonderful catered ski chalets along with a wealth of local knowledge! Here are 10 of the activities you can try off the ski slopes in this very attractive, compact village. The thrill of racing around the mountains on a snowmobile is easily possible from Vaujany. Novice snowmobilers can use the lift system to get to the Chantebise restaurant 2100m up at the mid station DMC. You’ll experience all the aspects of snowmobiling, how to ascend and descend the slopes safely, carving turns and everything else having fun in the empty snow fields near the Lac Besson on your scooter accompanied by an Espace Moto Neige guide. You’ll need to bring your goggles if there is powder. The facilities that Vaujany has for its size are truly astonishing and the excellent leisure centre, L’Espace Loisirs, is truly one of the best in the Alps. Along with a great multi-purpose sports hall and a bowling alley it houses a 25m swimming pool, health centre, gym, indoor sports courts and an international sized ice-skating rink where regular ice hockey matches take place, curling evenings and the very fun ‘broomball’. That’s even before we get on to the kids paddling pool and water slide or their spa area with sauna, jacuzzi, hammam and the rest. 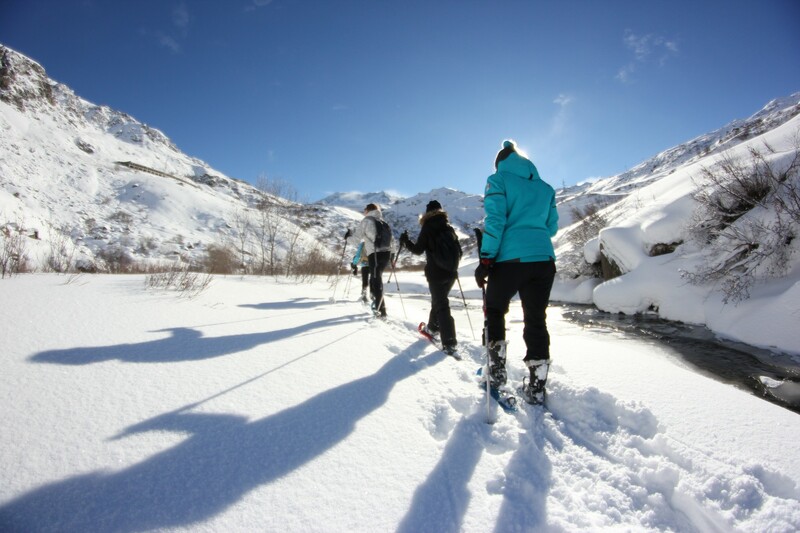 Vaujany’s is lucky enough to have its very own expert snow shoe guide, Alain Hilion, who can guide you through the surrounding winter wonderland of stunning. Beginner or experienced hikers are welcome and all ages including children with half or full day hikes offered. If you’d like to try the original way to use skis – popular for millennia before someone thought going downhill might be fun 150 years ago – a smaller unspoilt village in stunning scenery is the place top try it, rather than the suburban slopes of some high skiing metropolis. There are about 50km of cross-country skiing routes for all standards in the area which can be accessed via the ski lifts and gear rentals and tuition are available locally. Cross country skiing is also one the best aerobic activities there is – although stopping for drinks and cakes when you reach a cost mountain hut along the way may sadly counteract those benefits a tad. Skier or non-skier it’s something very special to go up in a light aircraft or a helicopter for a scenic tour of the region, offered daily. 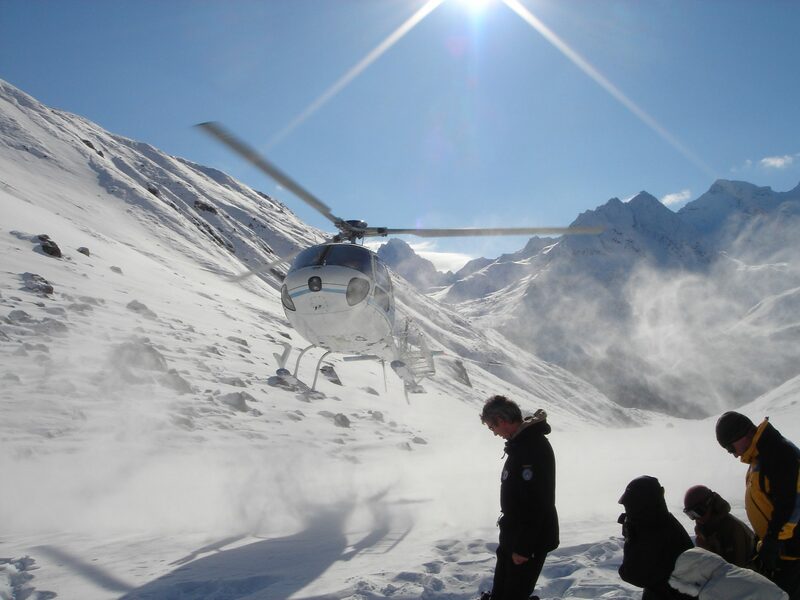 Alpe d’Huez has its own ‘Altiport’ which is easy to reach from Vaujany and from where light aircraft and choppers offer trips daily, weather permitting, and if you’re really daring you can even take the controls yourself with the glacier flying school. Being in a smaller resort means that non-skiing members of your party can make a winter hike on marked paths of varying length or take a ski lift ride to meet skiers in your group. As with being on the slopes faster due to your quieter location, similarly these restaurants are more distant from the hub of the ski region, so too are likely to be much less hectic than those you can walk to from the big-name resort. There are six mountain restaurants walkers can get to from Vaujany: Le Petit Truc, La Vaujaniat, Les Airelles, La Grange, Madammes Passouds in the Auberge de l’Alpette or La P’Oz Chez Passouds. Three more are one pedestrian-friendly lift ride away (La Ferme d’Oz, La Perce Neige or Chantebise). Some people like to blast through the snow on a snowmobile, other like the near silence (other than the excited barking of the huskies before they start running) of dog sledding. Most of us greatly enjoy both experiences (although I think dog sledding is much better!). Anyway, just as with snowmobiling though it all starts at the Chantebise restaurant 2100m, available by ski, board or for non-skiers by lift. 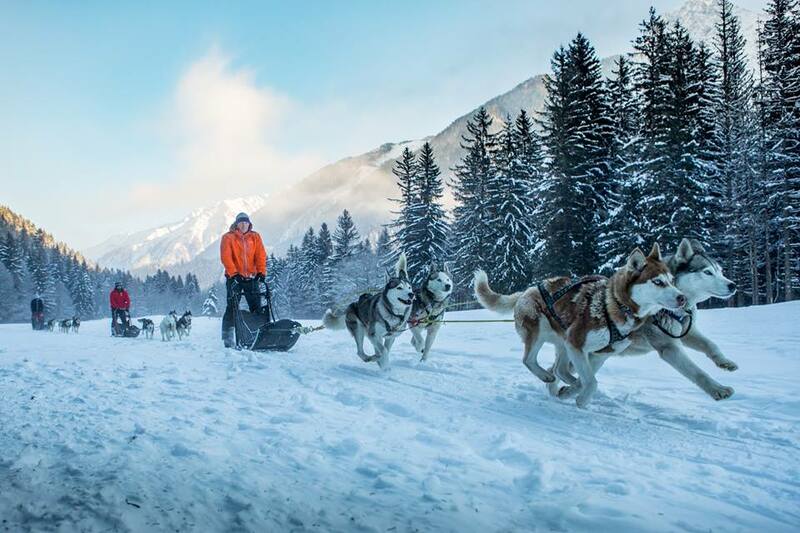 Along with the ride you’ll be taught how to steer the sledge and control the dogs. Unsurprisingly it’s a very popular activity and therefore, important to book as far in advance as you can. If you do either dog sledding or snowmobiling, why not pop up one more lift, the DMC gondola to see the ice cave!? This ice museum of wonders, at 2700m is created every year based on a different theme. It only costs a few Euros to get in once you have your lift pass to get there (non-skiers can buy a return ticket). Museums are not everyone’s cup-of-tea but if you do want to know a little more about the heritage and history of where you’re staying you’re spoilt for choice in Vaujany which, amazingly, manages to have four in the locality! The Fauna Museum (‘Maison de la faune’) tells of the rich wildlife of the local Oisans region whilst the Hydro-Electric Museum shows how power is generated from that region’s natural assets. The unusual ‘Memory Museum’ provides a century of the village’s history recounted by its inhabitants and finally the Alpine Wildlife and Minerals Museum at nearby Bourg d’Oisans contains the largest collection of alpine minerals in France as well as a display of 140 different species of Alpine wildlife. Paragliding (or “parapente” as the French call it) involves running off the side of a mountain suspended below a parasail parachute. For first timers this is normally a two-person experience when you are strapped to an expert paraglider (“parapenter”?) who does all the actual steering and everything else. You just have to hang there, take in the view and say “Wow” a lot. 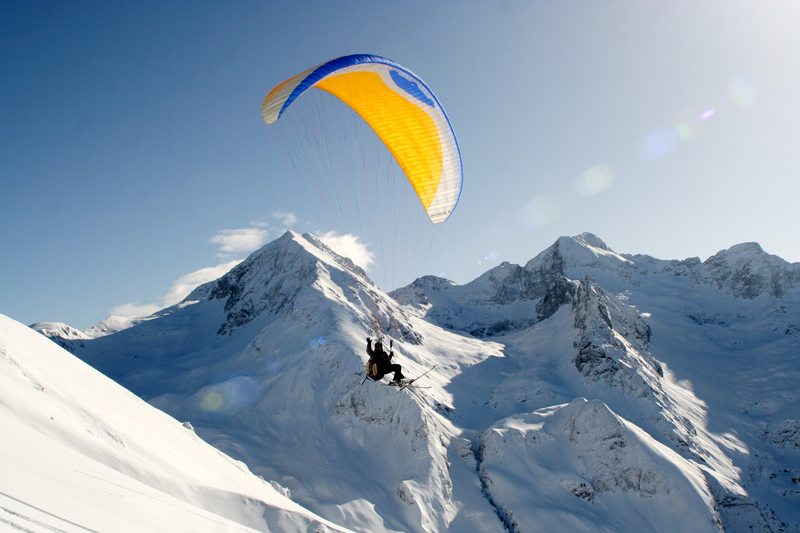 Paragliding is offered in Alpe d’Huez at the top of the ‘Signal’ mountain. So there you have it – choose a small resort like Vaujany and you can have your cake and eat it – escape the crowds, pay less but still have more choice of things to do each day than you can cope with. Where was that mountain restaurant lunch menu again? Night Life on the Mountain: How Much Do You Really Need It?